Laht Neppur Brewing wound up on my radar screen for the recent trip largely on the strength of their Peach Hefeweizen, which I tasted at the Oregon Brewers Festival this summer. I'm not normally a fan of that style, but I liked the Peach Hef. Thus, the stop in Waitsburg, home of the Laht Neppur brewery. And more good beers, I hoped. If you're wondering, Waitsburg is out in what many refer to as "the middle of nowhere." More specifically, its roughly 30 miles northeast of Walla Walla. Folks who frequent the wine country around Walla Walla surely know of Waitsburg. And Dayton. Possibly Pomeroy. Lots of Aggies over there, producing the stuff we eat and drink here in the city. The Laht Neppur brewery (and similarly-named winery in the same building) is located just off the main road through Waitsburg. It's tough to miss because they've managed to place a cute little sign near the side of the road a few hundred feet ahead of the spot...assuming you're headed east. 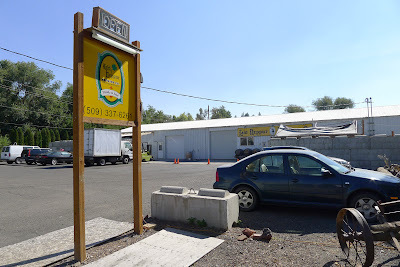 The short version of the Laht Neppur story is that the place was founded by Court Ruppenthal, a longtime homebrewer who came to the area to learn about wine making. 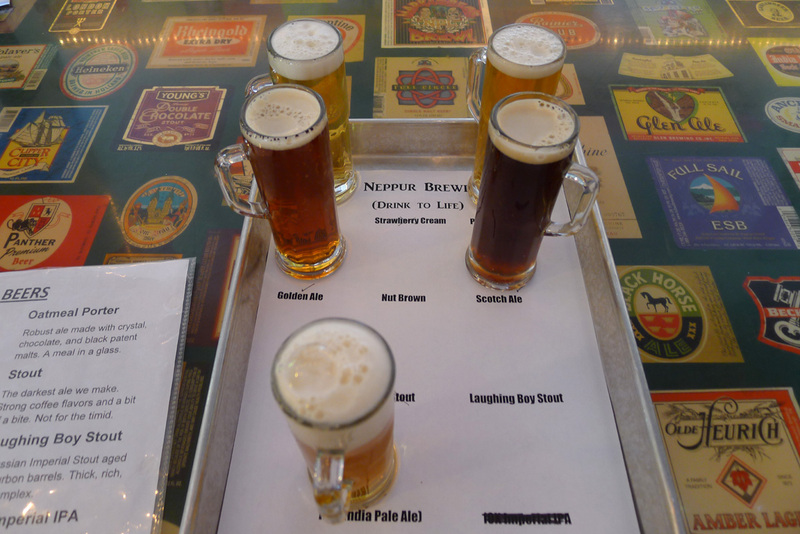 Not long after arriving, Ruppenthal realized what the area really need was good beer. He reasoned that you need a lot of great beer to make good wine. Makes sense if you think about it. So he decided to start brewing, and opened taproom in 2006. Actually, it isn't just a taproom. They have a pub menu here. Families and kids are welcome. More recently, they opened a pub in Walla Walla. 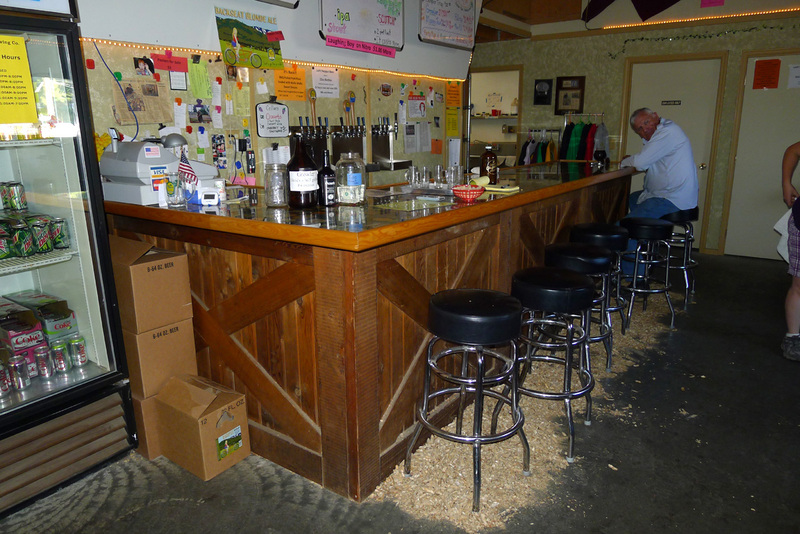 Plus, they operate a beer garden where the Walla Walla Sweets (minor league baseball) play. Check their website for information on days and hours, which vary by season. Let me back up for just a moment. Before he decided to embark on the wine and beer adventure, Ruppenthal was living in Vancouver, enjoying the good life. 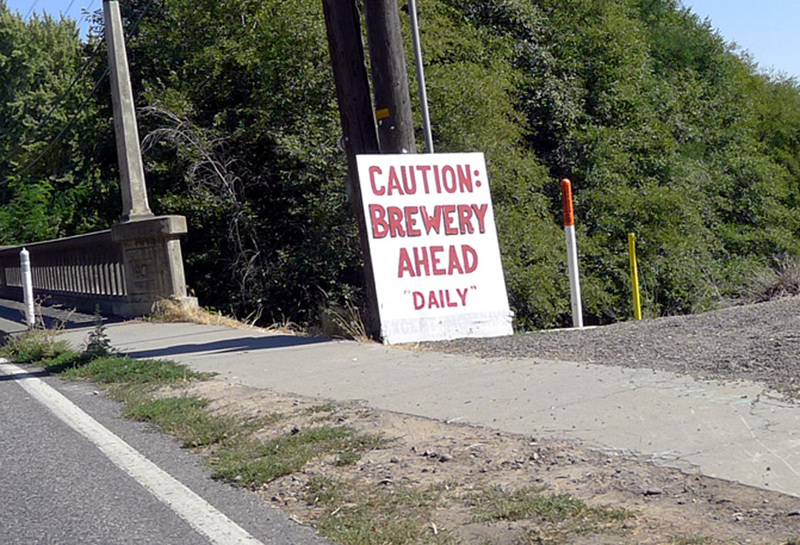 The move to wine country happened because of wine, but the idea of brewing good beer here is ingenious. Why? Because the entire inland Northwest is underserved from a craft beer standpoint. Portland-area brewers who want to open their own place ought to make a note of that fact. Oh, in case you're hoping to attach some deep meaning to the name, don't bother. Read it backwards. Got it? Good. There's some definite wit here. 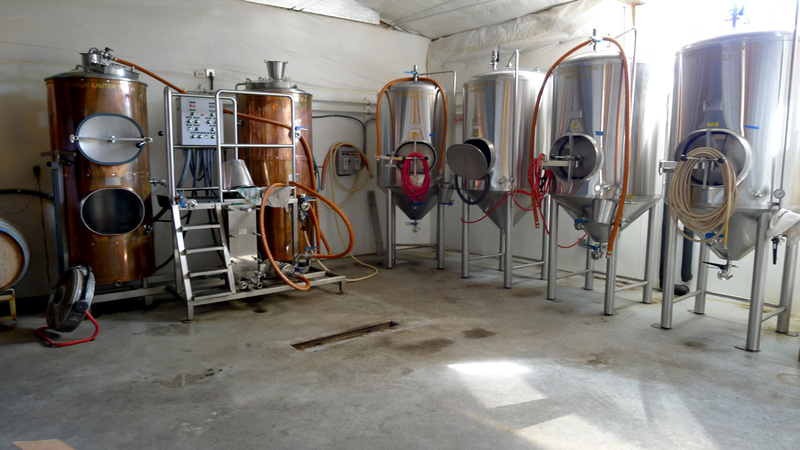 The brewing operation at Laht Neppur isn't large. They've got a 3.5 bbl brewhouse and several 7 bbl fermenters. There were at least 10 beers available on draft, and these guys recently started bottling some of their beers, so I'm guessing the brewery is operating at close to capacity. There was no activity the day I visited, which makes me suspect it was a wine making day. My taster tray (these are 4 ounce glasses, so you need to be careful) included Backseat Blonde, Golden Ale, Peach Hef, Scotch Ale and IPA. These are all good beers. I thought the Peach Hef was a little less fruity than what I tasted at the OBF, but still pretty good. The Blonde and Golden are both nice summer beers. The best of the bunch was the Scotch Ale, super smooth with a perfect smokey malt backbone. If you stop by the tasting room/pub, you'll notice it's rather homey. The decor is decidedly "early grubby," and I think that's a good thing. The floor is lined with peanut shells. They even have a land line phone with a standard ring...hadn't seen or heard that in a while. The typical patron comes from the local Ag community and you may have a chance to mingle...if you're lucky. It's not fancy place...doesn't need or want to be. I mentioned the bottled beers. These are 22 oz bombers of Peach Hef, Strawberry Cream Ale and Backseat Blonde. They apparently bottled the IPA and Scotch Ale days ahead of my arrival. I saw a number of growlers and bottles leaving the shop. I was told distribution is limited for now, although we may be seeing bottles on Portland shelves in the near future. Next time you head out to wine country or other destinations east, check out Laht Neppur. They've got the beer and the charm.